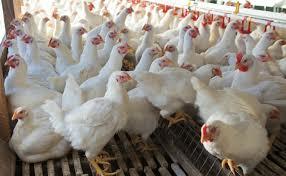 A non-governmental organization, Peace Aid Project (PAP) on Friday signed a Memorandum of Understanding (MoU) with Rico Gado and Gese Derdirabe Farms on supply of a day-old chicks and feed to poultry farmers in Kaduna state. The project, which is expected to be formerly launched in November this year with a projected output of about 214,200,000 birds per annum, will create direct employment for 11,500 women and youths across the 23 local government areas of the state. The two companies will supply consumables which include a-day-old chicks, vaccines and vitamins to the farmers in this project which will transform the poultry industry in Nigeria and position Kaduna State as the largest poultry meat market in the country. Chief Executive Officer (PAP), Benson Emakpor noted that, the partnership will not only create massive employment for women and youths, but will also generate huge IGR to the state government and diversify the Kaduna State economy from her dependency on oil revenue/ allocations from federation account to agriculture. “It is our opinion that with this massive investment in the youths and women of the state, security challenges will become a thing of the past as young men and women will become gainfully engaged in sustainable community development projects in mechanized aquaculture and livestock farming. “A year ago, we presented the adhoc committee report on the implementation of this project to the Kaduna State government with huge excitement and expectations and here we are with just two months to the launch of the project in the State. “Kaduna State is blessed with vast mineral and natural resources which include abundant farmlands and human resources which if properly explored can significantly improve the lives and wellbeing of the inhabitants of the rural and urban areas. This project is focused on the harnessing these farmlands and human resource for aquaculture and livestock farming”, he stressed. Mohammed Hussein, who represented commissioner of agriculture at the event described the development as another milestone by this administration to provide employment for our youths and stir the state towards sustainable development in livestock farming of the agriculture sector. “The Kaduna State government is transforming the State into an agricultural hub and developing the non-oil base sector of the economy of the State by investing in agriculture and agro Allied industries. This project complements government efforts in this direction and will further boost the development livestock farming in the State”.